After the post yesterday about the new rom, I decided to give ICS a go, and this is how I did it. Before the instructions, i want to remark that this version is still an Alpha Release and it's not recommended for daily use. According to Samsung, the final release will be released in Q1 2012 (in 1 or 2 months). So no more talk, let's start! 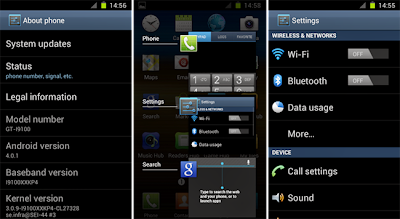 Update: This post is outdated, find an official Android Ice Cream Sandwich FW here. If you have any problems/questions or you want to share your experience leave a comment! SOPA: Who's in and who's out?